Here’s me doing balloon sculpting for a party! 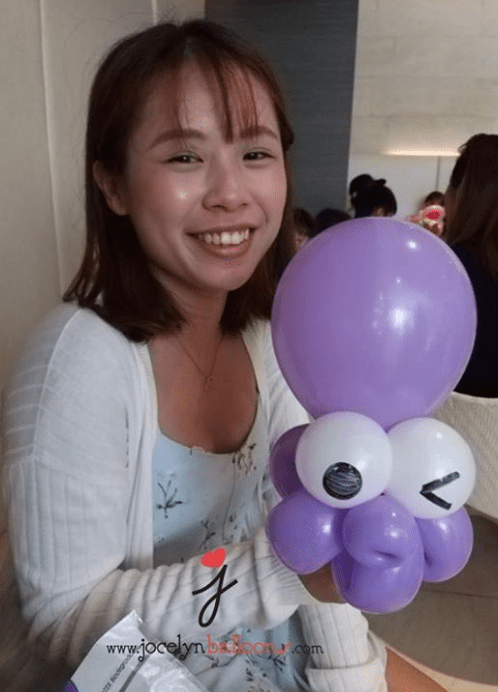 A kid asked for a Balloon Octopus Sculpture! 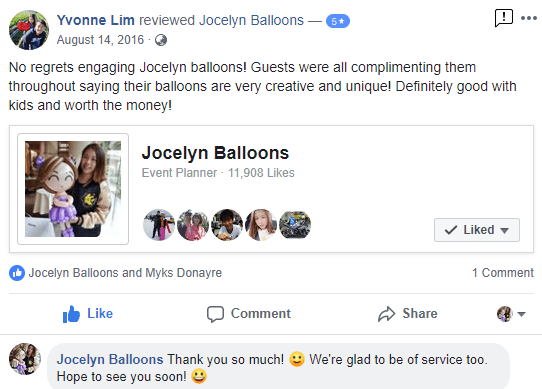 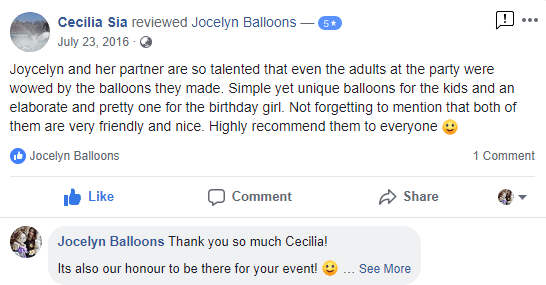 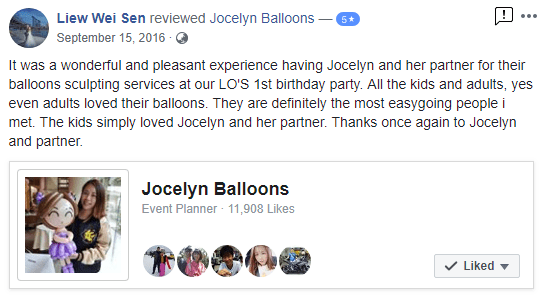 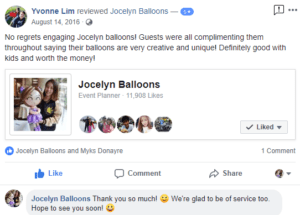 If you are unsure of what activities to get for your party, balloon sculpting is the best way to go! 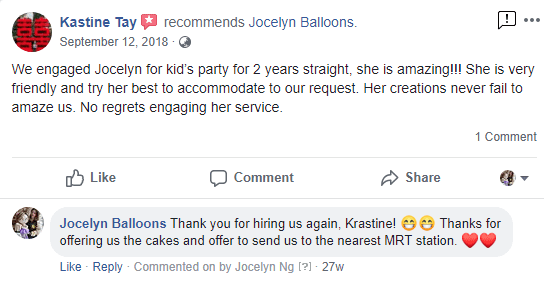 As I am able to create anything that your child wants on the spot! 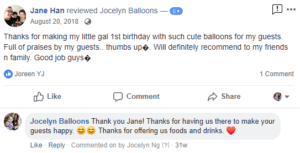 Below are some images of what I did for birthday parties! Setting up for the birthday party! 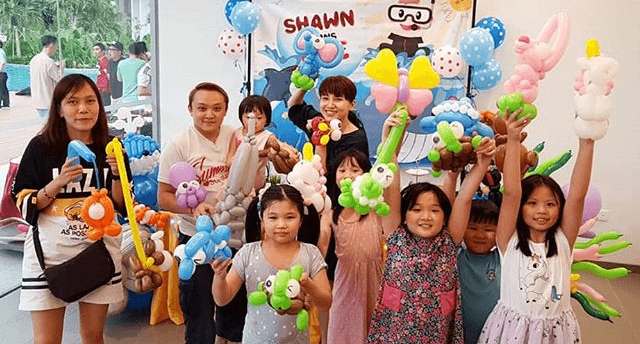 Here’s a lot of happy kids with their balloons! 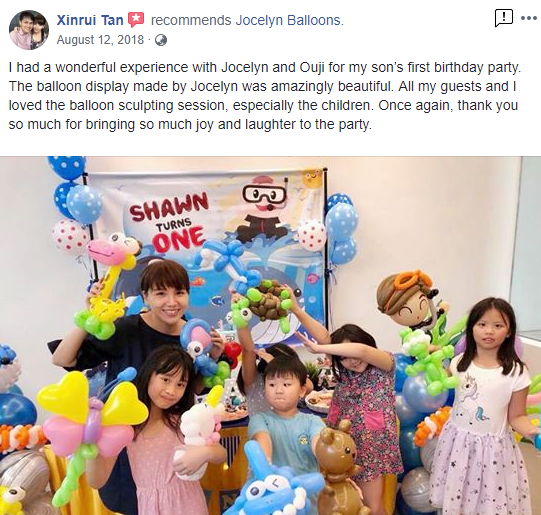 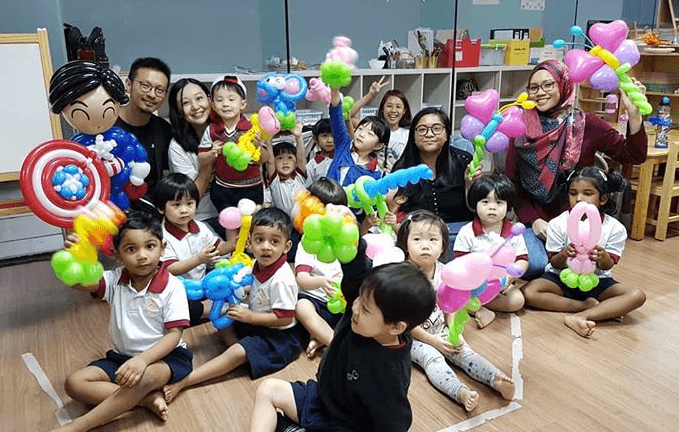 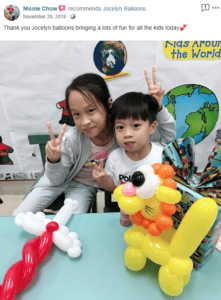 Another happy party children with my balloon sculptures! 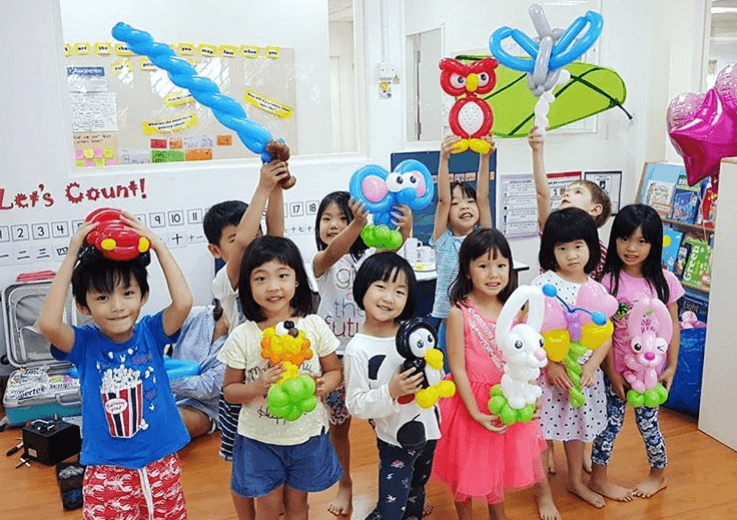 Balloon sculpting at a childcare! 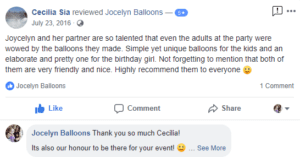 Any venue is possible! 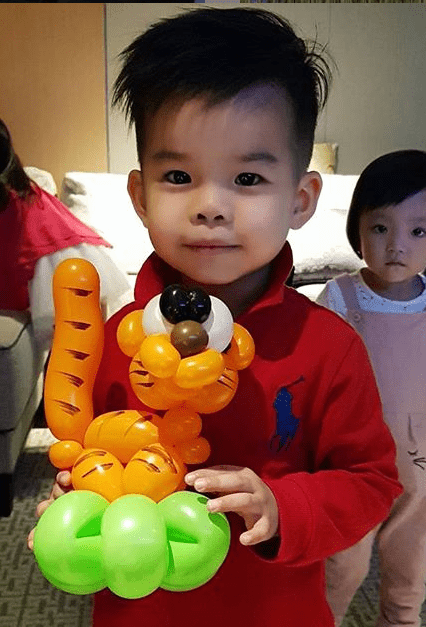 This cute little boy asked for his favourite animal – a tiger! 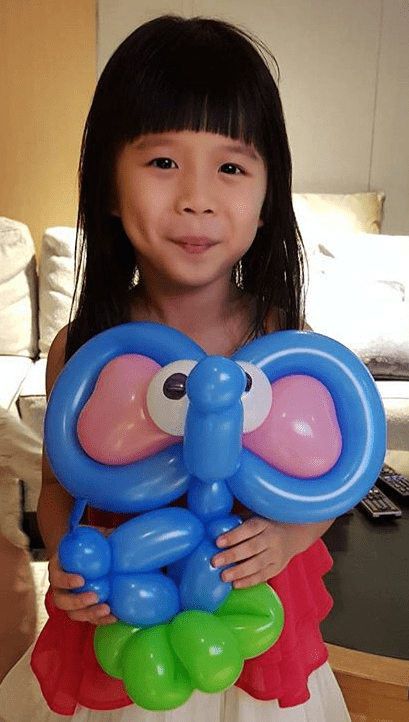 Happy girl with her happy balloon elephant! 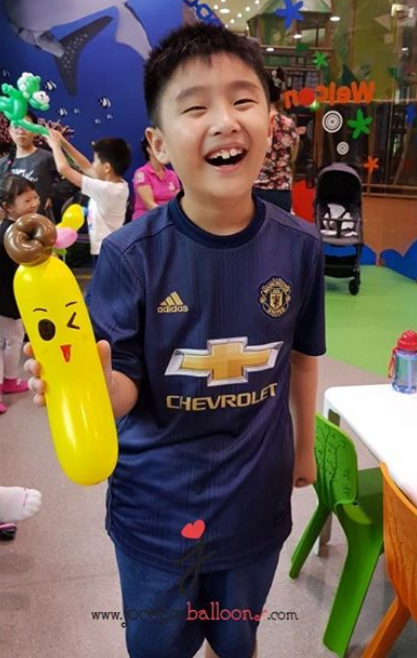 This is so cute, he wanted a happy banana! 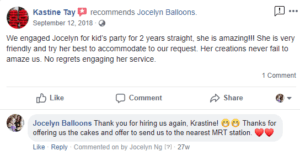 And here’s what my clients have to say! 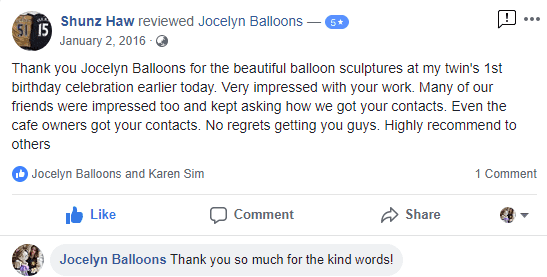 If you’re interested in hiring me as your balloon sculptor, contact me now via Whatsapp or Call!